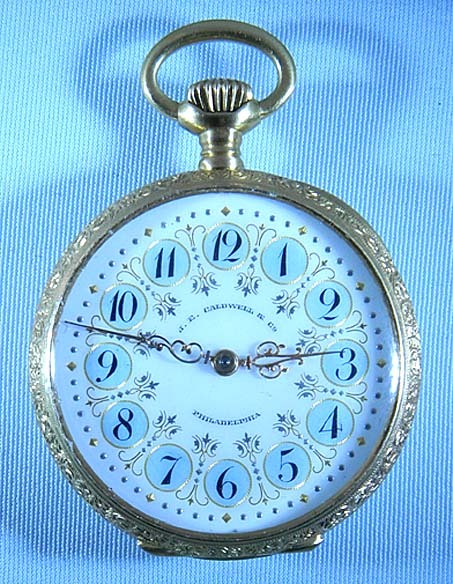 Fine Vacheron and Constantin 18K gold, enamel and diamond ladies antique pendant watch circa 1890. 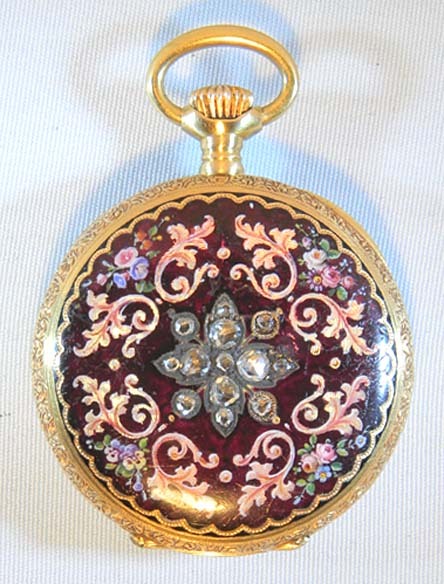 The beautiful case back with dark red enamel (significant surface scratches) with painted flowers and foliage centered with a large diamond flower. 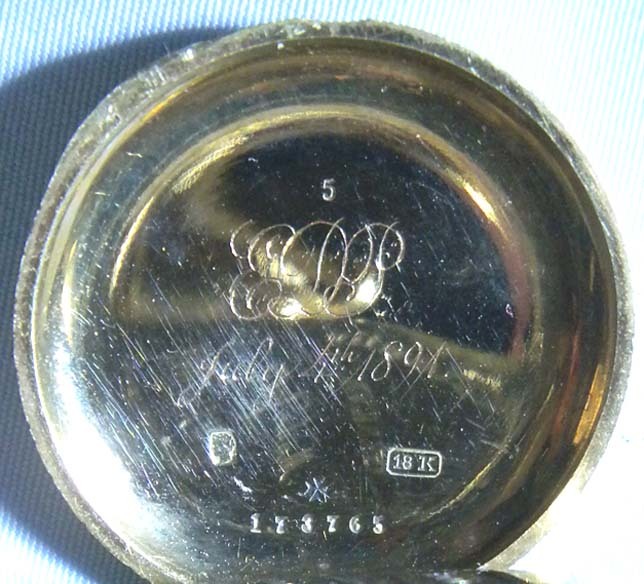 Lovely enamel dial with black numerals on blue cartouches separated by fine gold designs and fancy gold hands. 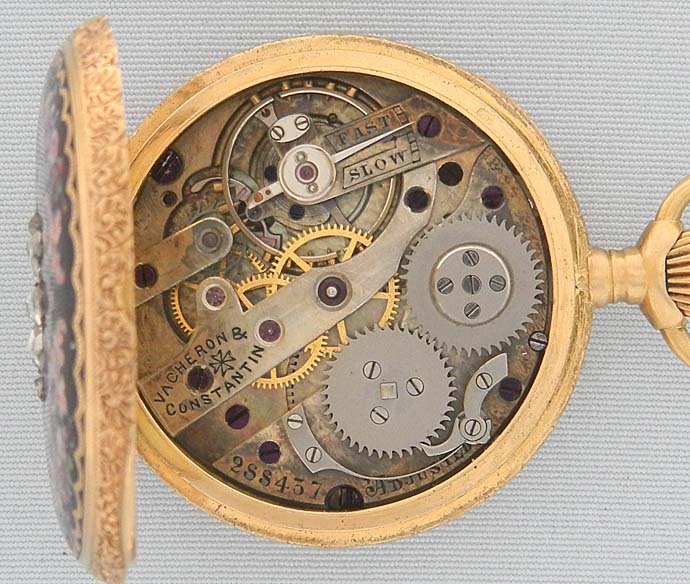 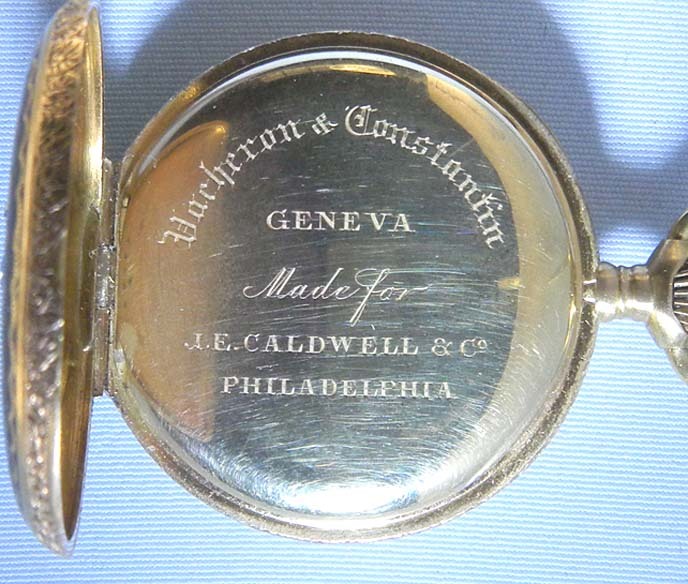 Fine 16 jewel nickel movement with counterpoised palled fork and wolf tooth winding.